If you’re reading this, then chances are you know first-hand the pure bliss and beauty of experiencing a river by dory. 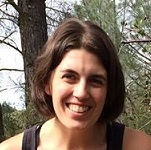 Or maybe, you’ve heard enough buzz about dory trips in recent years that you’re intrigued. 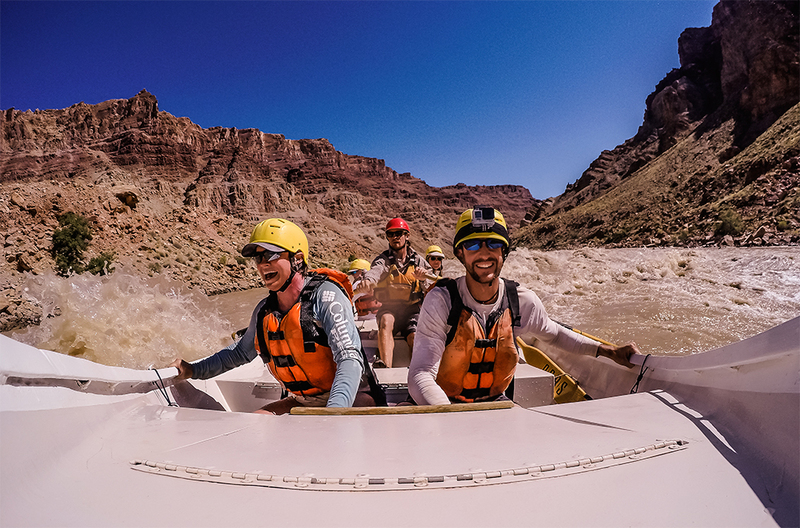 These finely-crafted wooden boats have become synonymous with the Grand Canyon, thanks in no small part to Martin Litton, legendary river guide and founder of Grand Canyon Dories. 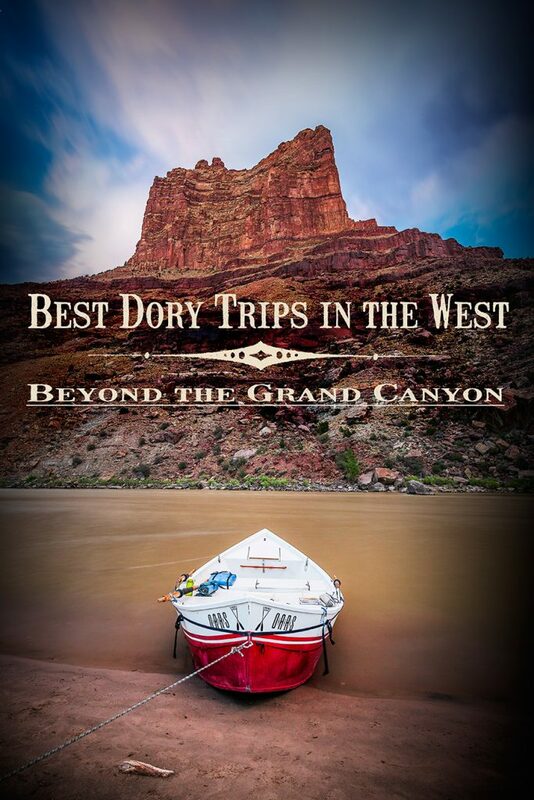 Not to mention, the 2013 release of author Kevin Fedarko’s highly acclaimed book, The Emerald Mile, about the fastest dory run through the Grand Canyon ever. 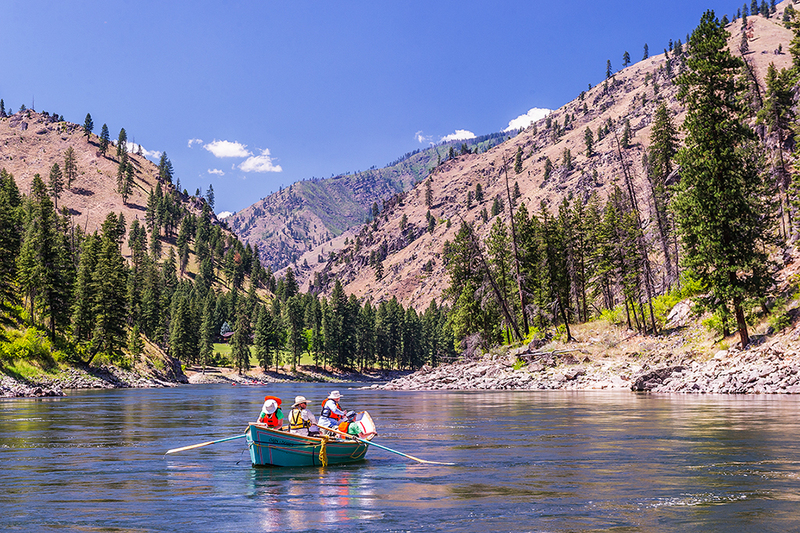 With more than 300 miles of free-flowing river waiting to be explored by dory, there’s something for everyone on Idaho’s Salmon River. 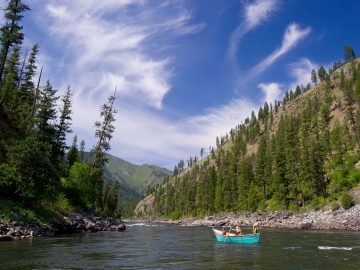 For an early season thrill ride, the Middle Fork of the Salmon River which is consistently recognized as one of the most beautiful stretches of rivers in the West, offers non-stop whitewater on more than 100 class III-IV rapids, plus hot springs and great fishing. And while there’s a short window for dories on the Middle Fork, the Main Salmon and Lower Salmon are a sure thing for dories all season long. 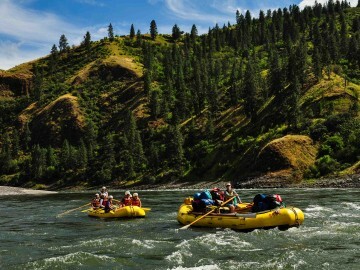 The Main Salmon is renowned for its mile upon mile of pristine mountain wilderness, big sandy beaches and abundant wildlife while the Lower Salmon flows through four separate gorges interspersed with incredible wide-open vistas and some of the most beautiful white sand beaches of any Western River. 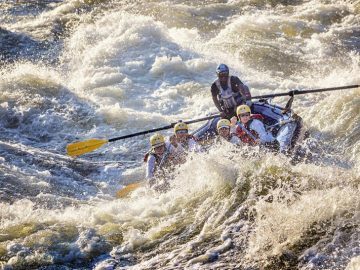 Regardless, both of these stretches of river will reveal both the grace of a dory, and its wild side, as you float through fun, Class III whitewater. What better way to tackle legendary whitewater than in a dory? 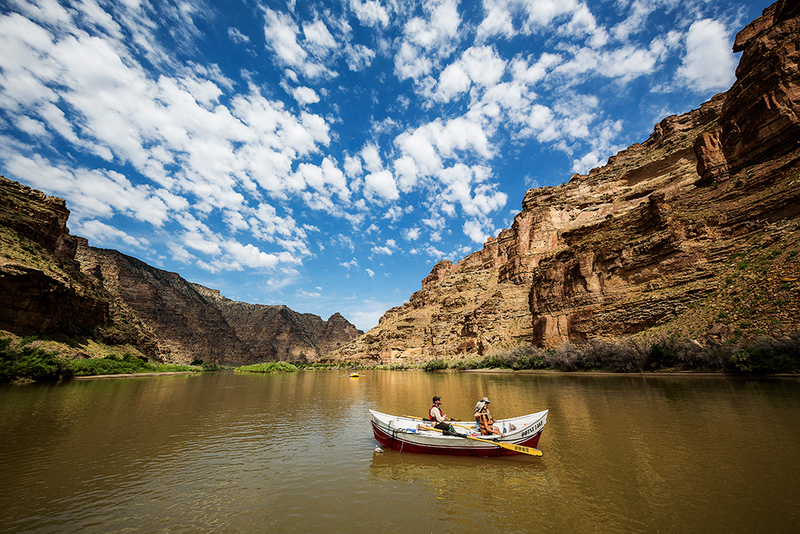 When the water is big in Cataract Canyon, it’s big. We’re talking rapids that rival the biggest rapids in the Grand Canyon. Add in dramatic canyon scenery and unprecedented access to Canyonlands National Park and you’ve got yourself an epic adventure. 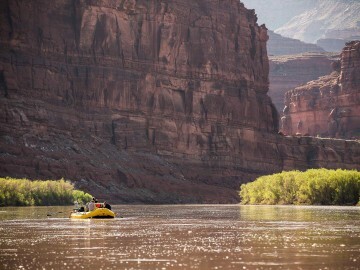 But you won’t see dories on this stretch of the Colorado River only during spring high water trips. When river conditions allow, dories are the ultimate vessel for floating through this million-year-old rock paradise in style and comfort. Plus, the infamous Big Drops are exciting in a dory no matter when you go. 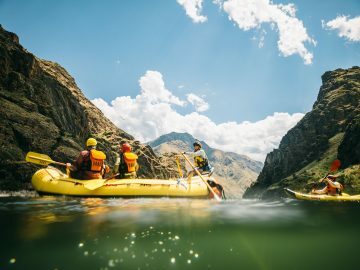 Probably one of the most underrated dory experiences in the West can be found on Idaho’s Snake River through Hells Canyon—the deepest gorge in North America. 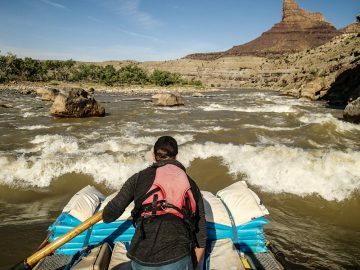 Boasting some of the best big waves and whitewater in the Northwest, a dory makes this hidden gem of a river trip an exhilarating rollercoaster ride. 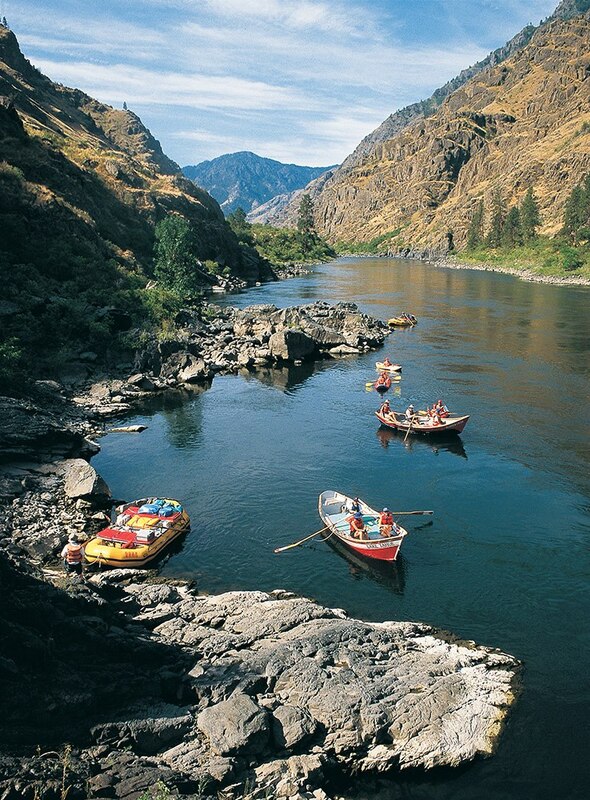 And when you’re not riding the wave train, the Snake River offers lovely calm stretches that are ideal for kicking your feet up on the bow of the dory (or for hopping on a stand up paddleboard), and soaking in the scenery and wildlife, including more than 100 species of birds. Not to mention, sleeping under the stars doesn’t get any better than on the huge sandy beaches you’ll find in Hells Canyon.